17. 02. 2019 13:43 19 (8 - Tänak Ott / Järveoja Martin): It's amazing. I know how hard my very good friend Markko [Martin] was pushing to win here in Sweden and he was once very close. So I'm very happy that we finally did it and we have this win in the team now. In the Power Stage I just went with a good rhythm again. I just drove a bit faster than normal - but still no risks. It was a really good stage. 17. 02. 2019 13:31 18 (8 - Tänak Ott / Järveoja Martin): A great weekend so far. All working together as we wanted. One more stage to go. Let's wee what we can do. 17. 02. 2019 13:23 17 (8 - Tänak Ott / Järveoja Martin): Conditions are really nice. I was careful everywhere but it's enjoyable to drive. 17. 02. 2019 04:28 16 (8 - Tänak Ott / Järveoja Martin): I'm really pleased. Yesterday we had a tough day to get to this position. Today everything has worked, the package has been there and that makes our life easier. 17. 02. 2019 04:24 15 (8 - Tänak Ott / Järveoja Martin): We've had a great day. I'm sure we're benefiting from our road position. Yesterday was the big job, today we just had to keep smart. 17. 02. 2019 04:19 14 (8 - Tänak Ott / Järveoja Martin): I've done everything I could today. Yesterday was the key. Today we are using the road position. No flight. It is going as planned. 17. 02. 2019 04:10 13 (8 - Tänak Ott / Järveoja Martin): Conditions definitely a lot harder than the previous one. We kept steady, in the line. Everything is working, I just have to do the job and preserve the tyres for the super special. 17. 02. 2019 04:00 12 (8 - Tänak Ott / Järveoja Martin): It's a bit of a surprise. Compared to yesterday it's like driving on a railway, it's so smooth. The conditions are making a massive difference. 17. 02. 2019 03:49 11 (8 - Tänak Ott / Järveoja Martin): It's been a good morning. Good on the first two, this stage a bit steadier but still a good rhythm. No problem. 17. 02. 2019 03:43 10 (8 - Tänak Ott / Järveoja Martin): Ok, it was a technical stage and we had a clean run. Nothing special. I'm in a good rhythm at the moment. 17. 02. 2019 03:35 9 (8 - Tänak Ott / Järveoja Martin): It was just a clean run. Nothing special. A long day ahead of us, so let's just get it going. It would have been stupid to take any risks here. 17. 02. 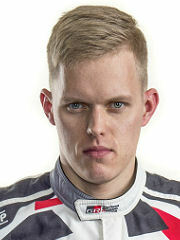 2019 03:14 8 (8 - Tänak Ott / Järveoja Martin): It's been a day full of surprises. This stage was no fun at all with deep snow. I had a few moments but I gave it a go. We had a strong first loop, in the afternoon it was about surviving with no mistakes. 15. 02. 2019 17:10 7 (8 - Tänak Ott / Järveoja Martin): It's tough in these conditions. My tyres are ok.
15. 02. 2019 15:51 6 (8 - Tänak Ott / Järveoja Martin): My tyres were moving about at the end. The conditions are bad with the narrow roads and the slush. With Seb out I have just one car ahead now and that makes it worse. 15. 02. 2019 14:27 5 (8 - Tänak Ott / Järveoja Martin): The line is bad, lots of gravel and so much slush. In these conditions the car works best, and gives great performance, but the cleaning means it will be almost impossible to challenge the guys behind. 15. 02. 2019 10:28 4 (8 - Tänak Ott / Järveoja Martin): Conditions are really good so we need to take the best out of it. Some of the nicest Sweden conditions for now but I expect the second loop will be completely different. Let's see what we can do. 15. 02. 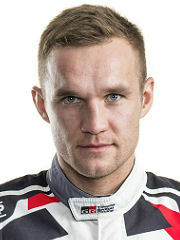 2019 10:03 3 (8 - Tänak Ott / Järveoja Martin): A good stage. The beginning was a bit looser than the first stage. It's cleaning a bit. The weekend is long but for the moment everything is working. 15. 02. 2019 09:49 2 (8 - Tänak Ott / Järveoja Martin): Actually quite good grip, just a few slushy places. Overall the conditions are quite fair at the moment, all good.